These three educational activity pads will make learning fun for little geniuses everywhere. Children can practise writing and be introduced to numbers, the alphabet, animals, patterns and shapes. There is also plenty to colour in! 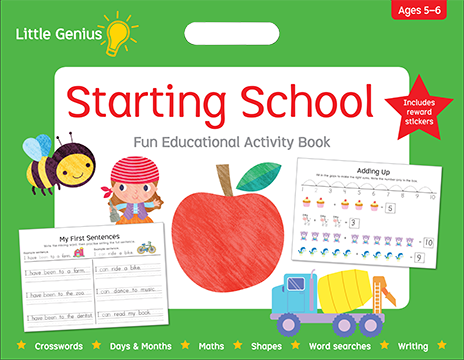 Make learning fun for your little genius! Perfect for ages 3-4, each pad includes key early learning concepts, alphabet learning activities, number and pattern recognition. Includes 80 rewards stickers. 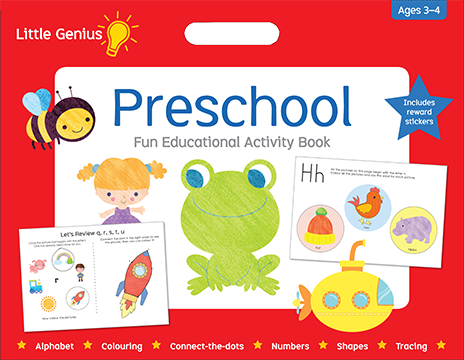 Make learning fun for your little genius! 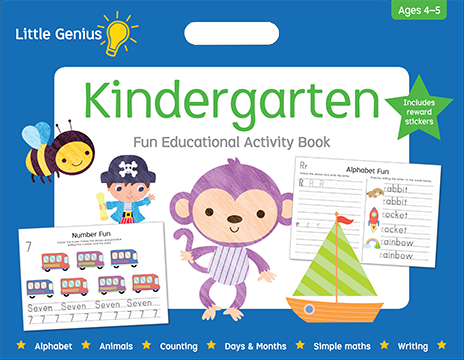 Perfect for ages 4-5, each pad includes key early learning concepts, writing practice, alphabet games, number and pattern recognition. Includes 80 rewards stickers.